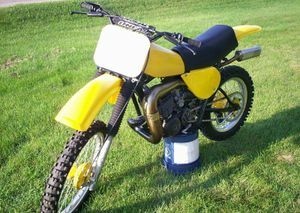 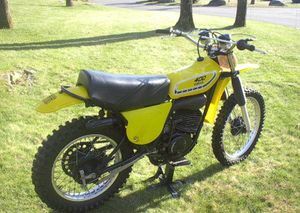 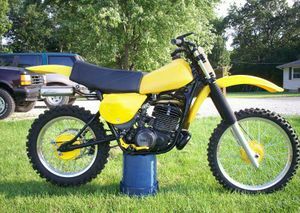 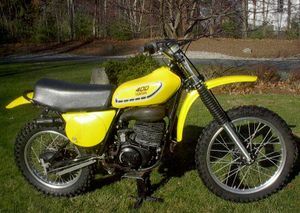 Take a 1975 MX400, paint it Yellow and add the spedo air forks and you end up with the 1976 YZ400C (I only saw 1, I swear it felt like an MX400). 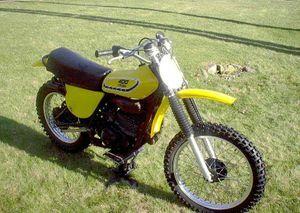 A great leap forward in frame, engine and suspension design, the 1977 YZ400 was only lacking in it's ability to track corners because of the round tubular swing arm that caused too much flex. 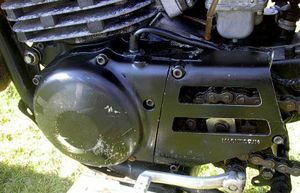 The monoshock was now encased inside the Monocoque frame that ran under the gas tank. 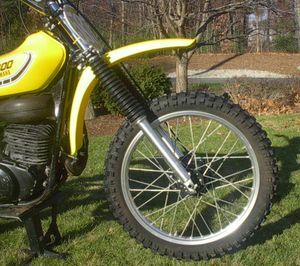 Expanding on a good thing, the 1978 YZ400 became stable with the box section aluminum swing arm and longer travel (at both ends). 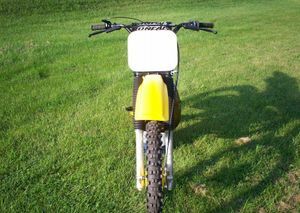 The bike was a bit heavy (tipping the scales around 240 lbs.) 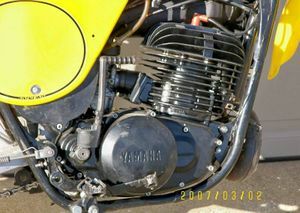 but long gone was the cracks in the frames, common with the previous (non-Monocoque) designs. 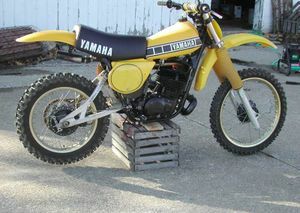 The rake was also a bit long which made the 1977-1978 YZ400s better at cross-country than in motocross. 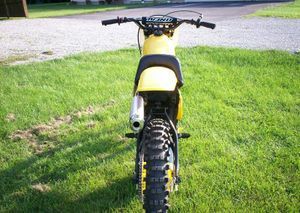 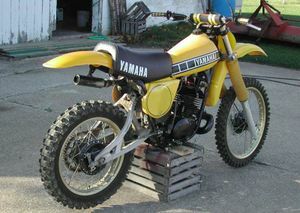 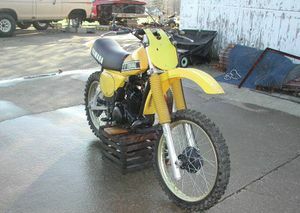 All good things must come to an end (which very much describes the 1979 YZ400). 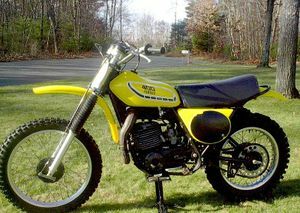 The rake was decreased to improve the handling in motocross but the 396cc engine was a step backwards (in this editor's opinion). 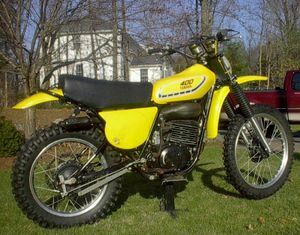 This engine was only used on this bike and the 1980 IT425. 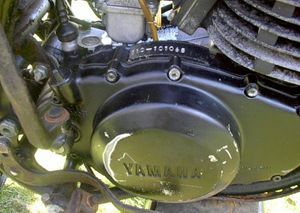 Previous engines used the over-square 85x70 (397cc) design (even the SC500 used the same crank 95x70). 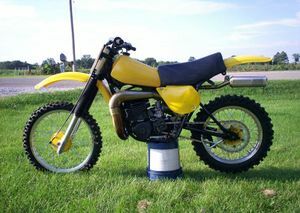 This engine was 82x75 and never used again.